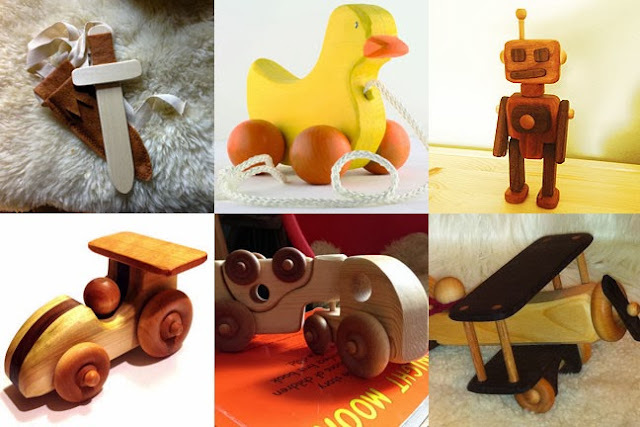 The Mindful Home: The Etsy Holiday Gift Guide for TOYS!!! The Etsy Holiday Gift Guide for TOYS!!! CLICK HERE TO CHECK OUT ALL 6 HOLIDAY GIFT GUIDES! These hand carved wands are simply stunning, and yet, shockingly affordable given their high quality materials and workmanship. Made in Connecticut, they are the perfect gift for the budding wizard or magician in your life! featured in the Baby and Kids Guide. There is something so exquisite about this hand dyed ethically sourced silk. 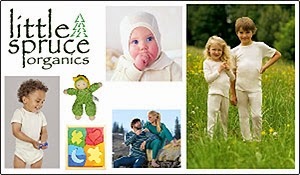 Beneath the Rowan Tree, located in Northern Ontario, Canada, specializes in these handmade pieces for open ended play. 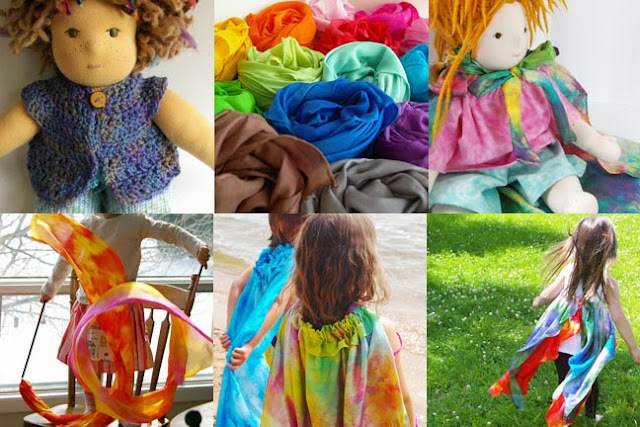 She also sells precious hand knit doll clothing (and silk doll capes too! ), as well as scarves that are featured in the Women's Gift Guide. 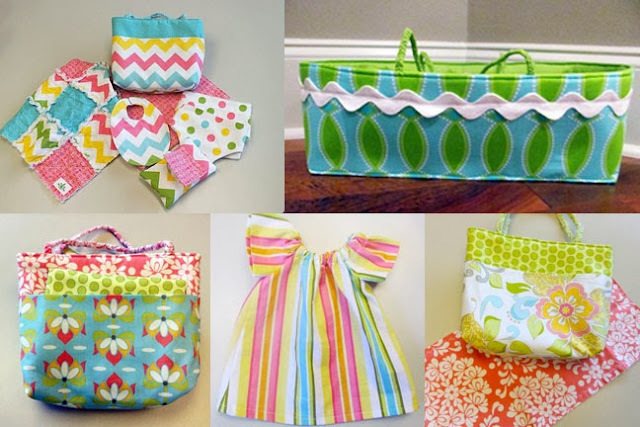 For those looking to make your own gifts, check out her patterns and tutorials featured in the DIY/Crafter's Gift Guide. These hand embroidered creations from Painting Pixie in Colorado are impeccably made. One is more beautiful than the last. 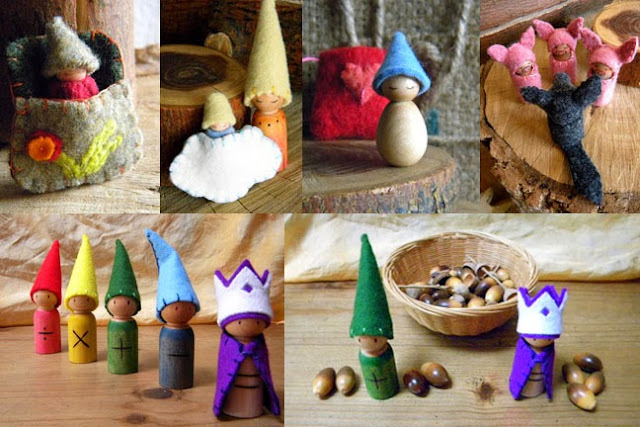 These gnome, fairy and elf dolls are all made with natural and renewable materials. For those of you who have never heard of Smiling Tree Toys, I'm very excited to introduce you! 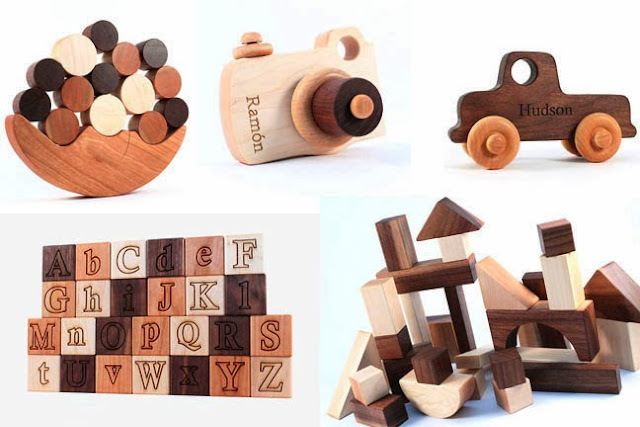 Their heirloom quality toys are made in Minnesota from sustainably harvested American hardwoods, and really, the beauty of these toys speak for themselves. 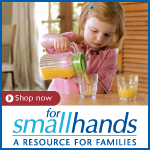 For more of their teethers and baby toys, check out the Baby and Kids Guide. 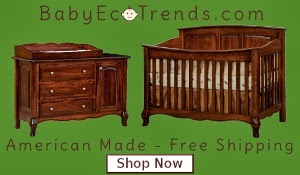 to matching "Mommy and Me" dresses (for daughter and baby doll) to moses baskets and more. 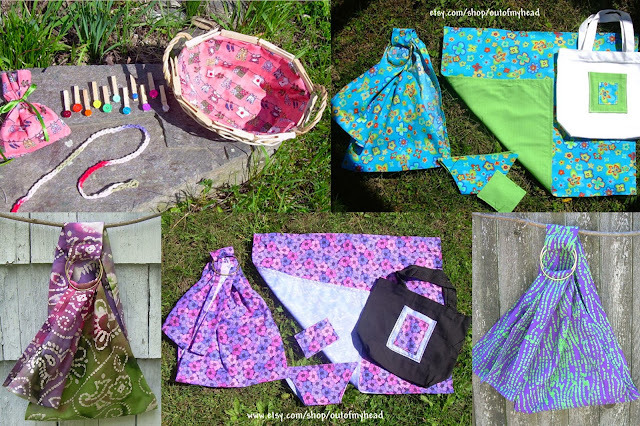 All are sewn in Louisiana with high quality quilting fabric. Let them be just like mom or dad with some of the hippest accessories I've ever seen for dolls! 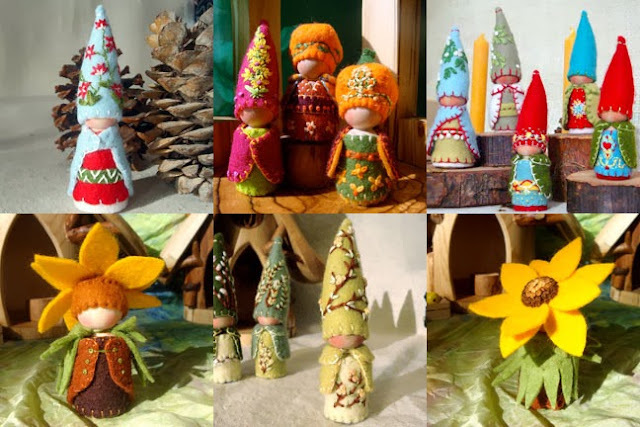 Mama West Wind makes Waldorf inspired peg doll creations including gnomes, fairies, birthday ring dolls, rainbow gnome clothes pins, pouch pals, nature table decor & ornaments, math & punctuation gnomes for home & school. The these adorable creations are hand crafted with love in New Mexico. For more, check out Mama West Wind's holiday ornaments featured in the Holiday Guide. How cute are these little mushroom friends? Made in Victoria, Canada, these Waldorf inspired toys are hand stitched with wool felt and stuffed with wool. Non-toxic glue is used where necessary, and every single one is precious! Ditch the petroleum based crayons this holiday and give the gift of these eco friendly ones instead, created by a mother of three in Minnesota. 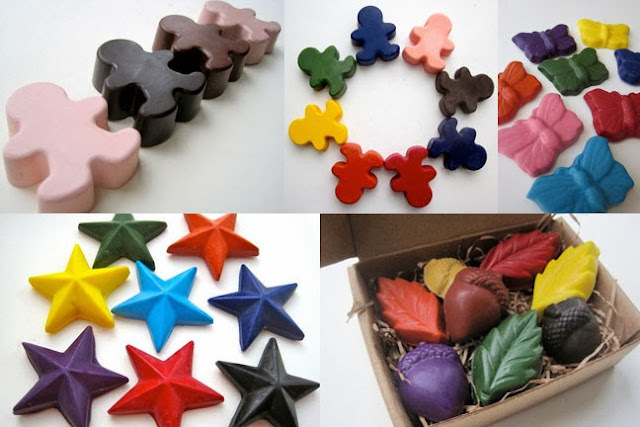 Made of wax from American grown soy beans that are pesticide and herbicide free, these vibrant crayons come in many unique shapes for that special artist in your life. 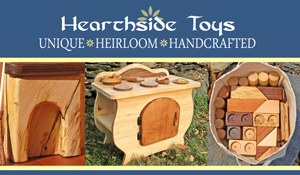 This NY based company makes a wonderful variety of wooden toys. I love this wooden sword with matching felt sash that comes in different colors! 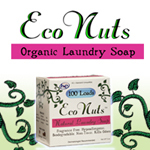 The lumber is sourced from the US and finished with non-toxic paints or finishes. Is there anything more precious than these hand knit creations? Made of wool yarn and stuffed with wool filler, Woolies also has other stuffed friends made of cotton chenille and organic cotton. Everything is made in Arizona, and there are a number of ready to ship items available. 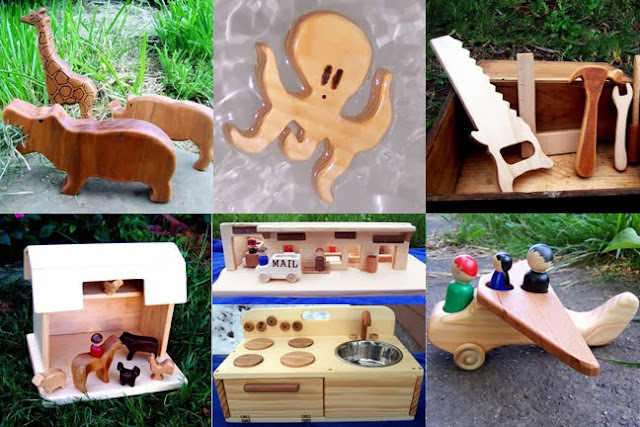 A store devoted to nature based learning, Little Acorn Learning sells Waldorf inspired items like this paint board and paint jar holder, playstands and more.